Works on Boat Detailers but not Birds! Fake snakes scare the crap out of me every time I see one, but apparently not the intended targets…birds. Because the unfooled guests on this dock do not have fingers, they were unable to give the owner of this dock “the bird.” Instead they resorted to the next best thing…leaving the owner a present on his spoiled scare tactic. 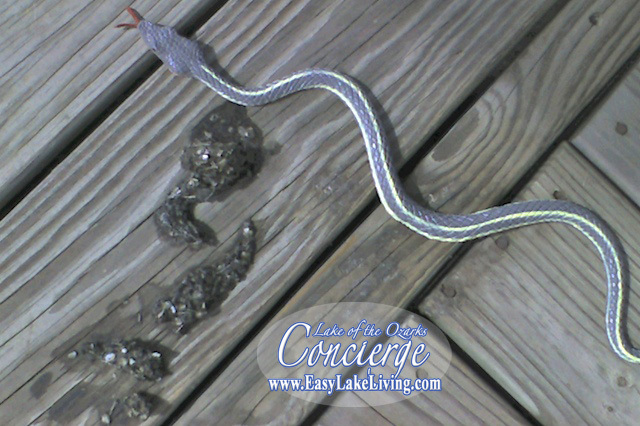 CORRECTION: We were mistaken: This snake literally scared the crap out of the boat detailer(Jim)…not the bird.